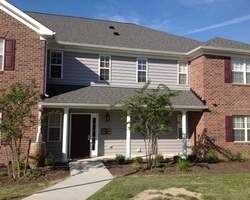 With a favorable location and a relaxing atmosphere, *Patrick Henry Square* is the right accommodation choice while visiting Williamsburg. The resort is conveniently located in the city of Williamsburg, only 16 km from the beach and 24 km from the city center. Area attractions include Jamestown, Yorktown, and Colonial Williamsburg. The 117 air-conditioned guestrooms at this hotel are spacious, comfortable and exquisitely furnished, and will satisfy all your requirements for a wonderful stay! Recreational facilities on-site include an outdoor heated pool, playground and game room for the kids. Restaurants nearby offer an excellent choice of cuisines in a relaxed setting. For a family-friendly, history-filled vacation, look no further than *The Colonies at Williamsburg*! 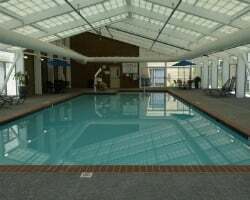 In a picturesque resort area, The Colonies features a clubhouse with an indoor pool, fitness room, game room, tennis courts, whirlpool, and a seasonal outdoor pool. 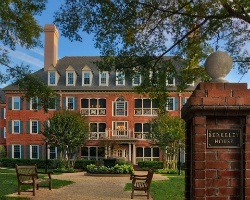 Leaving the resort's spacious accommodations, guests will find excellent golfing, shopping, dining, and cultural and historical sites of interest galore (including Jamestown Island, Colonial Williamsburg, and Yorktown). Busch Gardens and Water Country USA are a couple of theme parks that can be found nearby. To discover more, visit www.vacationvillageresorts.com. *Greensprings Vacation Resort* is a fantastic vacation retreat for golfers. Located next to the Williamsburg National Golf Club (which is a Nicklaus-designed course), the resort's positioning in beautiful Virginia is an attraction in and of itself. Water Country USA, Busch Gardens and many historic sites and restaurants are close by and great for the whole family. On site, guests will enjoy swimming pools (both indoor and outdoor), lighted tennis courts, and an exercise room. Please note that units span three floors, and no elevator is available. Located only two miles from Colonial Williamsburg, *The Historic Powhatan Resort* is steeped in historical heritage and offers a variety of vacation fun. Some of the amenities at this 256-acre resort include indoor and outdoor swimming pools, tennis courts, a playground, an outdoor pavilion, plus hiking and exercise trails. Also on-site is the restored Manor House (circa 1735), which is listed on the National Register of Historic Places. Visit nearby Jamestown for more attractions from colonial America. Busch Gardens, Yorktown, and Water Country, USA are only a short drive away. 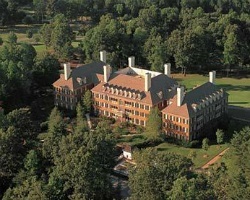 *Holiday Inn Club Vacations Williamsburg Resort* is located close to historic Jamestown, where U.S. history and colonial life is preserved in a truly unique environment. 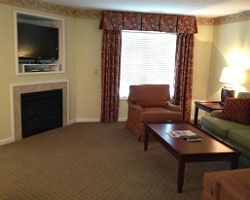 Accommodations include 1, 2, and 3-bedroom units with kitchens, fireplaces, laundry facilities, and cable TV. On-site amenities consist of a 10,000 square foot welcome center, an indoor water park exclusively for timeshare owners, horseback riding, an outdoor pool, children's wading pool and much more! Just a short drive away are the popular theme parks of Busch Gardens and Water Country USA! To discover more, please visit www.orangelake.com. Considered one of the nation's finest vacation spots, *King's Creek Plantation* is located in beautiful, historic Williamsburg, Virginia. There are literally hundreds of leisure activities in town. Although the town is best-known for Colonial Williamsburg, the historic restoration in its center, Williamsburg abounds in recreational opportunities: golf, shopping, fine food and entertainment. 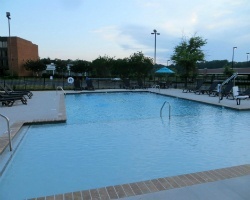 In addition to the King's Creek resort's pool, outdoor spa and tennis courts, nearby Williamsburg has facilities for boating, canoeing, and miniature golf. Within a a few miles are Water Country USA (right next door to the resort), Busch Gardens, Colonial Williamsburg, and historic Jamestown and Yorktown. Williamsburg also boasts more than 50 restaurants and numerous public golf courses, bike rental shops, health clubs, shopping centers and theaters. There are many popular destinations nearby. A trip to Colonial Downs, one of the nation's newest and finest horse racing tracks, is an easy drive. Just a few hours away are other popular excursion destinations: to the south, the famous beaches and fishing of Virginia Beach and Nags Head; and to the north, you will find the historic and cosmopolitan attractions of Richmond and Washington. New to *King's Creek Plantation, The Estates* are nestled in a deeply wooded area, providing guests with a tranquil, historic setting. 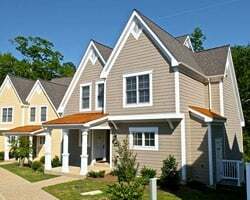 One, two, three and four bedroom lockout homes offer plasma televisions, granite countertops, fireplaces, whirlpool tubs, and private decks. Nearby, Colonial Williamsburg, Jamestown and Yorktown as well as Water Country USA and Busch Gardens are places of interest. 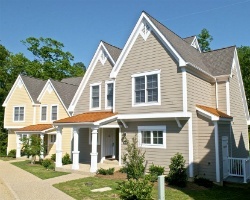 For more information about these new Estate homes, visit www.kingscreekplantation.com. Nestled in the rolling woodlands of Virginia and just minutes away from historic Williamsburg is the 2,500-acre exclusive retreat of Ford's Colony, a planned community reflecting the spirit of 18th century America. Your experience will be rich and memorable at *Marriott's Manor Club*, where your villa surrounds you with a world of modern amenities, here in the heart of Williamburg's colonial heritage. 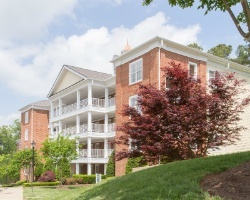 Located minutes from Colonial Williamsburg, Busch Gardens Europe and Water Country, USA, the resort is also located adjacent to the Williamsburg Country Club. Besides fractional, single-family golf villas, Parkside Resort offers one, two, three and four-bedroom units. Sporting spacious interiors and a Caribbean Colonial style of architecture, there is literally something for everyone! In Colonial Williamsburg, you can take a walk back in time as you explore the sights and sounds of the 18th century. Talk to authentically clothed tradespeople about special techniques while they use their Colonial tools. Visit the local museums, go for a walking tour during the day, then ride in a horse-drawn carriage in the evening, as the streets glow by candle light. 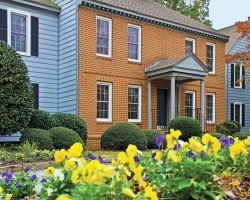 Westgate Historic Williamsburg is conveniently located adjacent to William and Mary College. Welcome to beautiful *Williamsburg Plantation*, a Five Star Resort vacation destination! 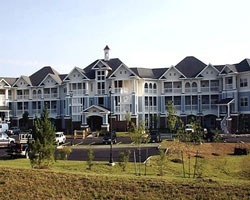 The clubhouse is modeled after an antebellum plantation and the focal point for the resort's many on-site amenities. 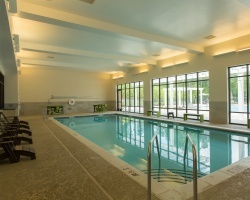 There are exercise facilities within the clubhouse, and indoor and outdoor pools are right next door. 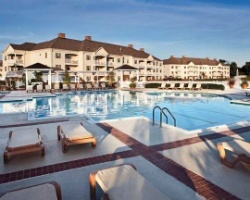 Other amenities include tennis, basketball, whirlpool, and a tot lot for the youngsters. 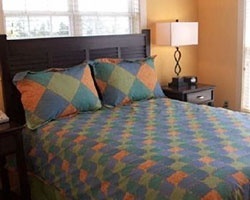 The resort provides spacious four bedroom accommodations for its interval ownership guests. 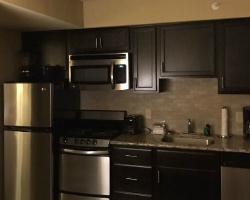 These luxurious units feature highlights such as fireplaces, Jacuzzi tubs, large living and dining areas complete with all the modern conveniences and some units even have private saunas. For a wonderful and memorable holiday, choose the Williamsburg Plantation! 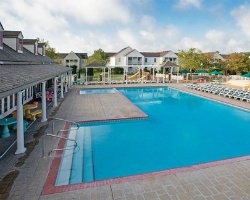 *Wyndham Kingsgate* is a vacation village near the entrance to historic Colonial Williamsburg. You can tour the many famous homes and buildings, or shop and dine in the stores and restaurants. Skilled artisans and craftsmen join costumed entertainers to recreate the 18th Century. A few other attractions include Jamestown, Yorktown and Busch Gardens and Water Country - and you're only about an hour from Virginia Beach and the state capital of Richmond. 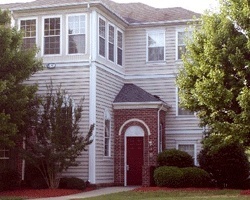 *Wyndham Kingsgate II* is a vacation village near the entrance to historic Colonial Williamsburg. You can tour the many famous homes and buildings, or shop and dine in the stores and restaurants. Skilled artisans and craftsmen join costumed entertainers to recreate the 18th Century. A few other attractions include Jamestown, Yorktown and Busch Gardens and Water Country - and you're only about an hour from Virginia Beach and the state capital of Richmond. 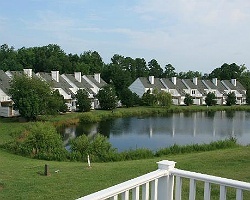 *Wyndham Kingsgate V* is a vacation village near the entrance to historic Colonial Williamsburg. You can tour the many famous homes and buildings, or shop and dine in the stores and restaurants. Skilled artisans and craftsmen join costumed entertainers to recreate the 18th Century. A few other attractions include Jamestown, Yorktown and Busch Gardens and Water Country - and you're only about an hour from the state capital of Richmond and Virginia Beach. 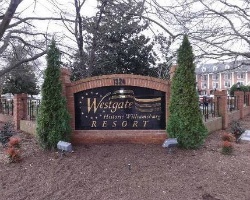 *Wyndham Patriots' Place* is its own little community just one mile from the Williamsburg, Virginia, historical area! It welcomes you with a charming entrance pond and a street layout featuring two-story condominium residences that make you feel especially comfortable and at home. A small lake is perfect for a picnic or feeding the ducks and a wide range of recreational amenities are available to keep everyone in the family occupied! Plenty of amenities available onsite and nearby! Buyer May Receive A Title Fee Credit, Inquire For Details! Floating platinum season week every year! Sale incl. 6 free rounds of golf at Ford's Colony County Club onsite! Buyer may receive a title fee credit! Pick your vacation dates with an odd year floating week! Buyer may receive a title fee credit, inquire for details! 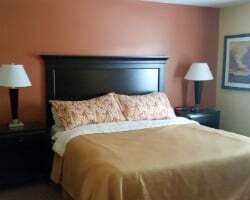 Family friendly resort near a variety of amusement parks! Week 23 every year! Buyer may receive a title fee credit, inquire for details! Relax in historical America! Floating week! Clear title! Paid in full! Buyer may receive a title fee credit, inquire for details! Beautiful location filled with rich American History! Enjoy vacationing during week 50! Inquire for details! Beautiful location filled with American History! Week 49! Buyer may receive a title fee credit, inquire for details! Price is negotiable! See ad 100223518 for an additional ownership-- buy both at a reduced package price! Buyer may receive a title fee credit! Price is negotiable! See ad 100223519 for an additional ownership-- buy both at a reduced package price! Buyer may receive a title fee credit! Great resort with plenty of activities available onsite! Buyer may receive a title fee credit, inquire for details! Price just reduced! Enjoy wonderful family vacations every other year! Week 15! Buyer may receive a title fee credit, inquire for details! Luxurious resort with distinctive amenities! Week 23! Buyer may receive a title fee credit, inquire for details! Peaceful resort with easy access to a wide variety of activities! Odd year week 7! Buyer may receive a title fee credit, inquire for details! Best offer considered! Great area near historic attractions, theme parks and much more! Buyer may receive a title fee credit, inquire for details! Peaceful resort near many historical attractions! Floating week! Buyer may receive title fee credit, inquire for details! Owner ready to Negotiate! Prime location near attractions and theme parks! Floating week! Buyer may receive a title fee credit, inquire for details! 7,000 odd year points! Points can be used anywhere in the Bluegreen network! Buyer may receive a title fee credit, inquire for details! PRICE REDUCED! Enjoy everything this resort has to offer while exploring local historic attractions! Buyer may receive a title fee credit, inquire! 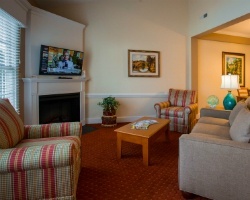 Enjoy great suites with all the comforts of home! Week 14! Timeshare is priced very low for faster sale! This years maintenance fees have been paid! All Offers Welcomed! Great Williamsburg Vacation Locations! Close to Water Country USA and other attractions Buyer may receive a title fee credit. Maintenance Fee Paid for 2019! 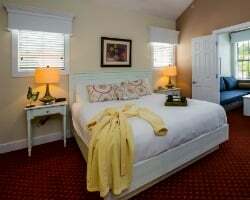 Charming resort close to the area's historical attractions! Buyer may receive a title fee credit, inquire for details!